Entertainment industry workers usually speak about illegal downloading in the harshest of terms but for one former Disney executive, it has its upsides. Speaking at the huge All That Matters conference, Samir Bangara admitted that he "loves" piracy as it's a great indicator of content popularity. 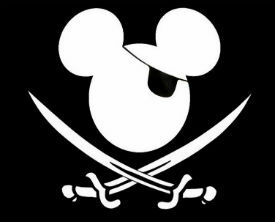 The piracy debate can be broadly split into two camps – those who believe it’s a destructive thing that needs to be stopped at all costs, and those who maintain the phenomenon has its upsides. Unsurprisingly, many of those in the first camp hail from entertainment industry companies with a shared mission to harness every possible sale. As a result, they’re often united when it comes to condemning unauthorized sharing and downloading. Every now and again, however, someone comes along with a controversial opinion of their own. Samir Bangara is the former managing director of The Walt Disney Company in India (Disney UTV). Appointed in 2012, Bangara helped to drive growth in video, games and audio for mobile, online and interactive TV following a restructuring of Disney’s digital assets. Later, Bangara left Disney to form media startup Qyuki.com as MD and CEO. Qyuki is a platform for artists to share their creations, connect with others, and generate revenue. With these goals in mind, one might think the company would take an anti-piracy stance. Instead, its MD suggests otherwise. “I’m going to put it out there. I love piracy,” said Bangara during the huge All That Matters content conference in Singapore. With key players from Netflix, Spotify, Merlin, FOX, Universal, Warner, UFC, Disney, Beggars Group and RIAJ all speaking at the event, Bangara’s statement probably raised a few eyebrows. However, there was method in his madness. According to Mumbrella, the former Disney boss believes that one of the main problems in today’s content-rich world is getting noticed. “I love piracy. Because guess what, the biggest problem right now is discoverability,” Bangara told a panel moderated by Tony Zameczkowski, Vice President of Business Development for Asia-Pacific at Netflix. While Bangara’s love of piracy probably wasn’t shared by many in attendance, illicit consumption has always been useful for showing what is popular among the fans. Indeed, the concept is one Netflix is very familiar with. Back in 2013, the streaming platform revealed that it had been monitoring pirate sites in order to gauge the popularity of shows. The data compiled by Netflix was subsequently used to decide which shows to invest in. The company could buy with confidence, safe in the knowledge that the content they were buying had already been tested in the market. With huge volumes of content available online, Bangara says that finding the good stuff can be a challenge. But knowing in advance what will work is definitely an advantage. “There are tens of thousands of hours of content getting uploaded. The challenge is finding what is working,” he told the panel. “What is getting pirated is by default working. Game of Thrones is great, so it’s going to get pirated,” he said. Netflix took the same approach when it launched in the Netherlands. The company discovered that Prison Break was “exceptionally popular” on pirate sites, so took the decision to buy the show. Interestingly, however, Lin says the challenge presented by piracy in Singapore isn’t simply competing with ‘free’, at least not in the traditional sense. By Western standards, Singapore has strict censorship in place, meaning that content available on torrent sites provides an attractive alternative to locally censored material. In reality, many companies use piracy networks to gather information which helps their businesses. In most cases, they just aren’t as up front about it as Bangara or indeed Netflix.